I went to the movies yesterday afternoon … a matinee in Dover-Foxcroft, ME, for $4 including popcorn! I mention it only because the last movie I saw in a theater was The War Horse, a Christmas present for a special friend New Year’s Eve 2011. Prior to that, it was Mama Mia with Karen during her good days in 2007. The feature was The War Room. Just for disclosure, if you are not a believer you can stop reading. But if you believe — or ever believed — in the power of prayer the film is uplifting, introspective and has a powerful message. 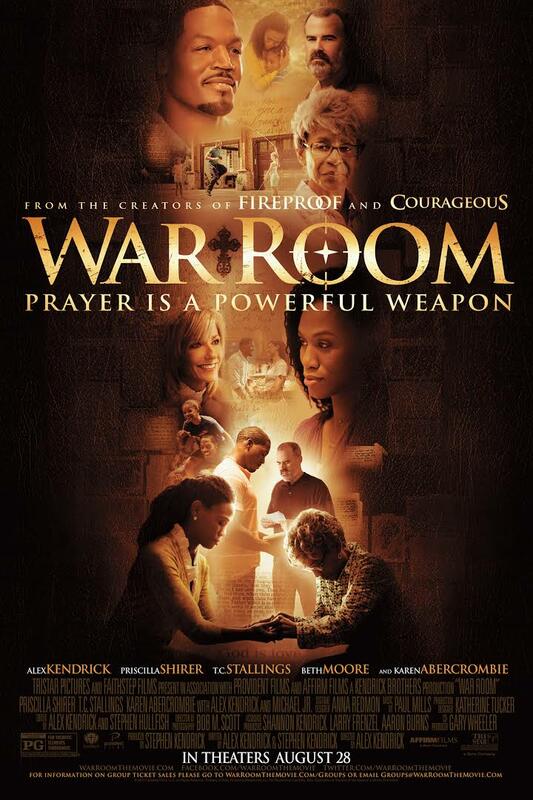 Brothers and filmmakers Alex and Stephen Kendrick — who are responsible for other uplifting films like Flywheel, Facing the Giants, Fireproof and Courageous — weaved a palatable tale of 75 year old Miss Clara (Karen Abercrombie) and her special prayer closet, her war room. She takes Elizabeth, an increasingly-bitter real estate saleswoman (Priscilla Shirer) under her prayer umbrella and rescues her from her own self-destruction. 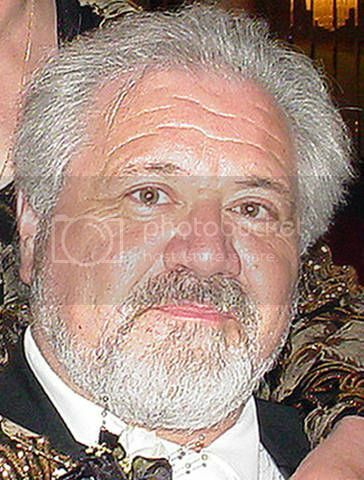 Tony (T.C. Stallings) and Elizabeth Jordan have it all — great jobs, a beautiful daughter and their dream house. But appearances can be deceiving. Tony and Elizabeth Jordan’s world is actually crumbling under the strain of a failing marriage. While Tony basks in his professional success and flirts with temptation, Elizabeth resigns herself to increasing bitterness. But their lives take an unexpected turn when Elizabeth meets her newest client, Miss Clara, and is challenged to establish a “war room” and a battle plan of prayer for her family. As Elizabeth tries to fight for her family, Tony’s hidden struggles come to light. His wandering eye, his skimming of pharmaceutical samples, his arrogance toward Elizabeth and his dismissal of his daughter all come to play. One of the most telling lines in the film came when Elizabeth overhears her daughter Danielle (Alena Pitts) ask her friend Jennifer (Jadin Harris) is she could move in with her because all her parents do is fight. That was — in my mind — the tipping point that softened Elizabeth’s heart and opened it to the prodding inquisitions from Miss Clara. The film itself is almost one long sermon on the value of prayer. It certainly can be viewed that way, and undoubtedly will by those with a casual relationship with God. But if you personalize the message — and recognize how we individually let the world dictate our actions and diminish our prayer life — you’ll get a deeper understanding of the film’s underlying message … prayer, prayer, prayer, in all things, prayer. There is a danger people will come away with the mistaken understanding prayer solves all problems … immediately. Prayer never was and never will be a substitution for dealing with problems, but rather the realization there is a higher power at work. On our own, we are impotent, building resentment, barriers and defenses. It’s only — through prayer — when we get out of the way do we get the advantage of looking a problems and situations without our own biases. In the real world, happy endings don’t always happen … at least not the happy endings we envision. As Elizabeth’s prayer life expands, she is able to “let go and let God.” That’s the rub. God’s way is not our way and if we don’t recognize that fact, a sudden rush toward religiosity will fall just as fast. I enjoyed the film, but I am a believer and I know the power of prayer. It’s not me telling God what to do; it’s accepting and adapting to what God does and says to me. Prayer is a complex issue, here being broached for the masses, but my fear is the film will ultimately preach to the choir. I hope I’m wrong. I hope the film reinforces the prayer life of believers, stokes some fires among marginal believers and leads to questions from skeptics. THOUGHT TO REMEMBER: Being happy isn’t having everything in your life be perfect. Maybe it’s about stringing together all the little things … and making those count for more than the bad stuff. Maybe we just get through it, and that’s all we can ask for. This entry was posted in blessings, encouragement, family, God, grace, prayer, relationships and tagged blessings, communication, DPchallenge, encouragement, Faith, family, God, grace, life, Movies, Prayer, relationships, Review. Bookmark the permalink. Thank you. Those who believe will believe. Blessings to you as well. You’re welcome. How was your summer?